When it comes to investing, a little laughter . . . and a lot of planning . . . can be a very good thing. How can investors act rationally when faced with an irrational world? How can investors plan for a successful future when markets are always unpredictable and often unpleasant? Fear and greed are a natural part of our psyche, but these emotions can be damaging to us as investors. Protecting and prudently managing wealth requires that we overcome the tendencies that—if unchecked—can be so hazardous to our wealth. 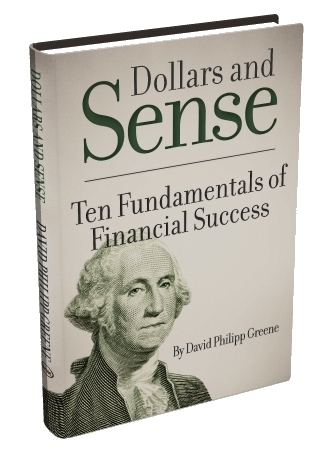 Dollars and Sense presents ten fundamental principles to help investors build financial success and peace of mind. Filled with personal stories from the life and career experiences of a professional financial advisor, Dollars and Sense helps investors build and preserve their wealth. It offers a timeless approach to investment planning and financial management that is deeply rooted in the emotional and financial realities of today.